Global wildlife trade is pushing many species to the brink of extinction. The Convention on International Trade in Endangered Species of Wild Fauna and Flora (CITES) was established to regulate this trade, but inadequate monitoring may facilitate or lead to unsustainable levels of exploitation. A recent study by the School of Biological Sciences of the University of Hong Kong (HKU) examined the case of hippo teeth and revealed discordance in trade volumes declared between importers and exporters - a scenario that could threaten the survival of the species. The findings have been published in the African Journal of Ecology. "If authorities do not more diligently monitor the international trade in threatened species, those species could be exposed to unmanageable exploitation levels, which could lead to extinction," said Alexandra Andersson from the School of Biological Sciences, who led the study. Since CITES trade records began in 1975, over 770,000 kg of hippo (Hippopotamus amphibius) teeth have been traded internationally - and 90% of this trade has passed through Hong Kong. Of that imported to Hong Kong, over 75% has come from just two countries: Tanzania and Uganda. [caption id="attachment_10199" align="alignleft" width="415"] Hippo teeth for sale in an ivory shop in Sheung Wan, Hong Kong. Credit: Alexandra Andersson[/caption] CITES records show significant discrepancies between hippo teeth trade volumes declared by the main exporters, Uganda and Tanzania, and the main importer Hong Kong, which points to potential mismanagement - since all CITES parties are duty-bound to accurately report trade in threatened species. 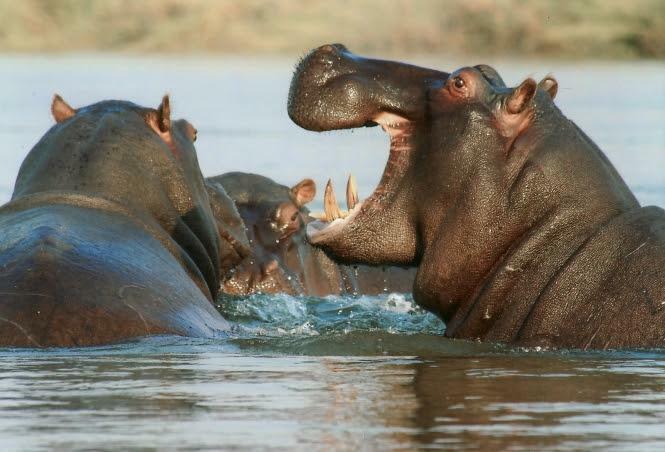 Since Tanzania joined CITES in 1980, records show that, cumulatively, Hong Kong has received a total of 3,176 kg more hippo teeth than declared exported by Tanzania. Similarly, in the 19 hippo teeth trade transactions between Hong Kong and Uganda since the latter joined CITES in 1991, discrepancies in declared trade volumes amount to over 14,000 kg of hippo teeth - representing more than 2,700 individual hippos, or 2% of the global population. Meanwhile, hippo populations have declined significantly. The International Union for the Conservation of Nature estimates a 7-20% decline in the past decade, and predicts a further 30% decrease in the next 30 years - a rate at which hippos will disappear within 100 years. In Uganda's Queen Elizabeth National Park the population has plummeted from 21,000 in the 1950s to 2,326 in the most recent count in 2005. "This gross mismatch in trade records challenges the persistence of hippo populations in Africa," said co-author Dr Luke Gibson, also from HKU. "This is a common problem - hippos are not the only species to face such mismanagement." Since 2000, Hong Kong has received over 100,000 more live, wild-caught Southeast Asian box turtles (Cuora amboinensis) compared to trade records from exporting nations Indonesia and Malaysia. Since 2006, Hong Kong imported 2,400 fewer live, wild-caught humphead wrasse (Cheilinus undulatus) than exported from, mainly, Indonesia and Malaysia - demonstrating that data mismatch is common across many species. "It is imperative that authorities in both exporting and importing nations cross check the volumes of threatened species declared on paper to those actually received, work together to understand the cause of any discrepancies, as well as correct any reporting errors or fraudulent declarations" added Andersson. "The fate of hippos - and a plethora of other species - could depend on it." 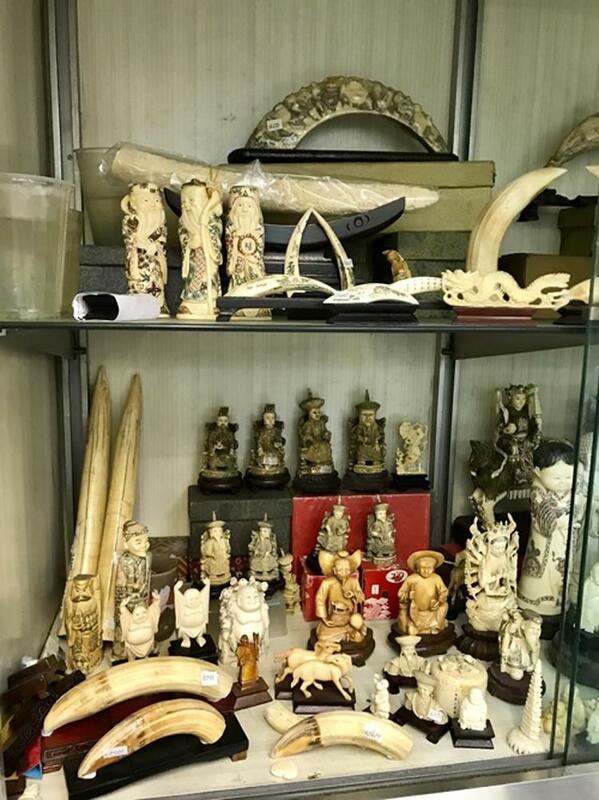 "As a hub of legal commerce in rare animals and parts, authorities in Hong Kong must have a precise knowledge and control of endangered species being imported, sold or exported in its territory," she said.